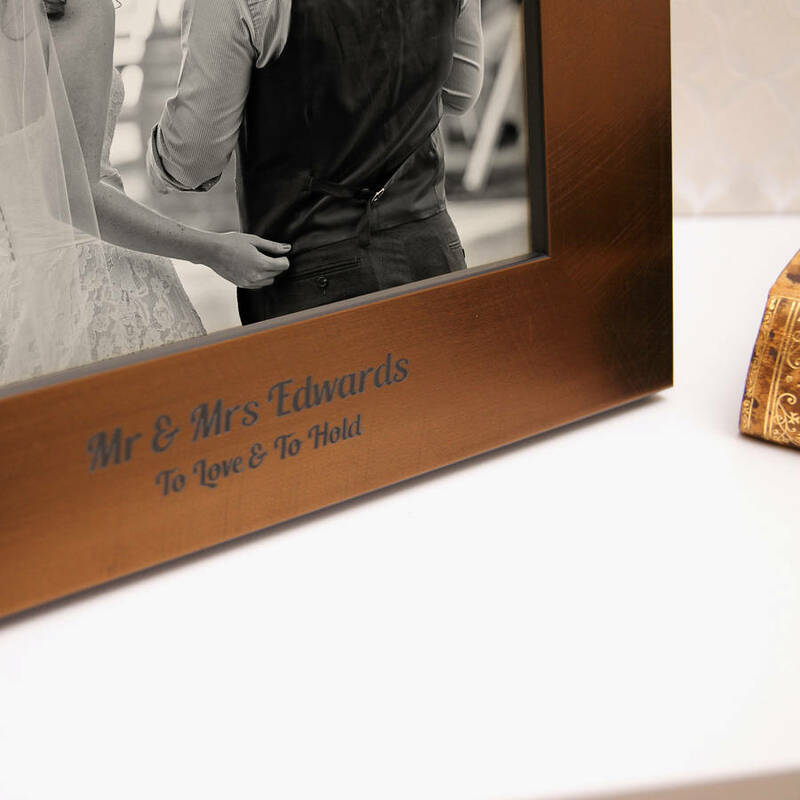 An engraved, personalised handmade photo frame to celebrate a wedding, engagement, honeymoon or anniversary. 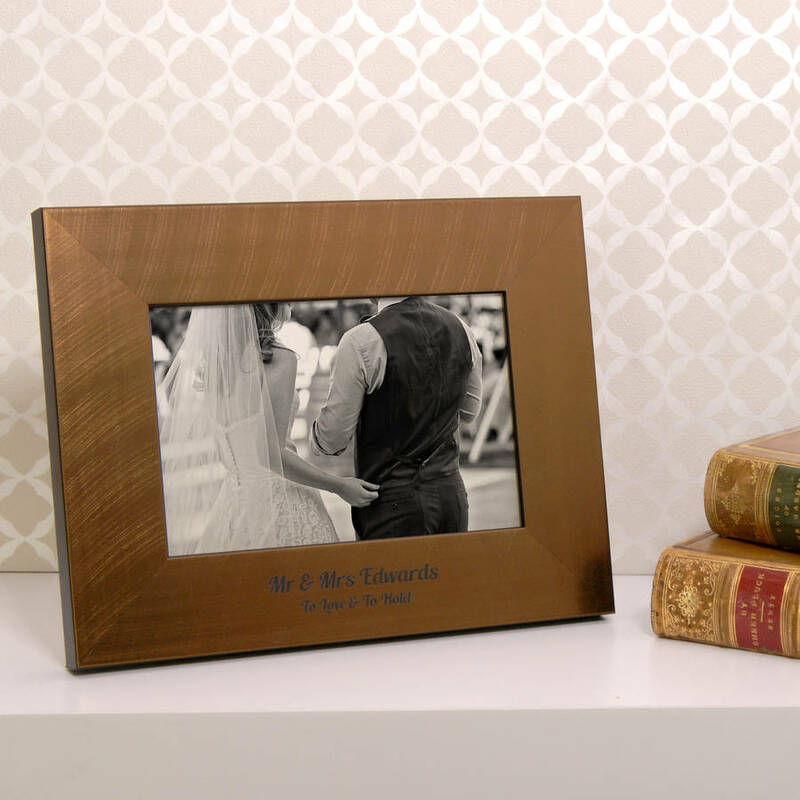 This self-standing frame is the perfect memento for that special day. 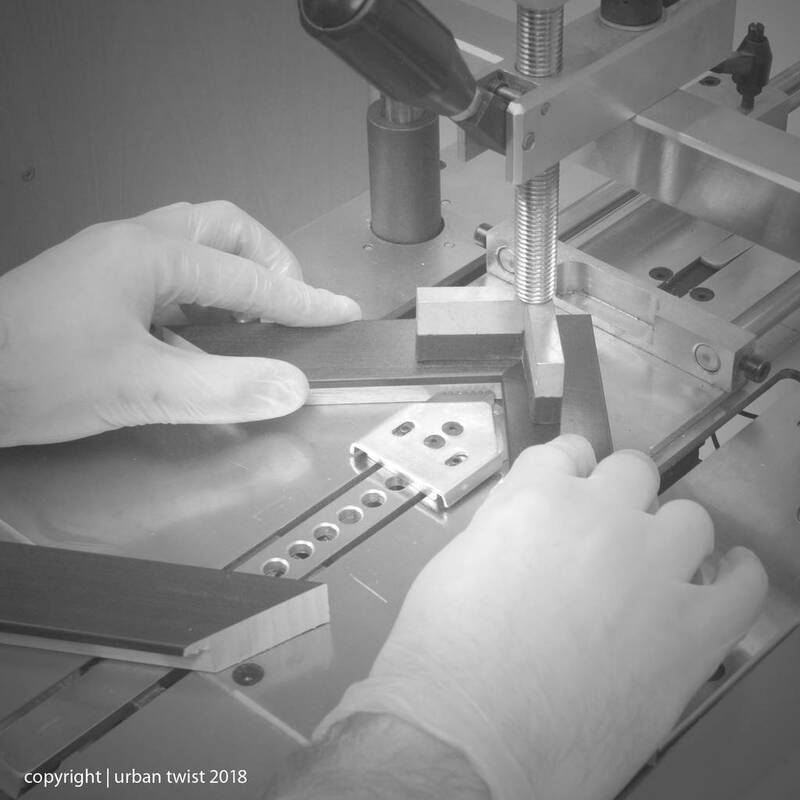 Each product is made to order and can be personalised with two special lines of text (We recommend a maximun of 5-6 words per line). 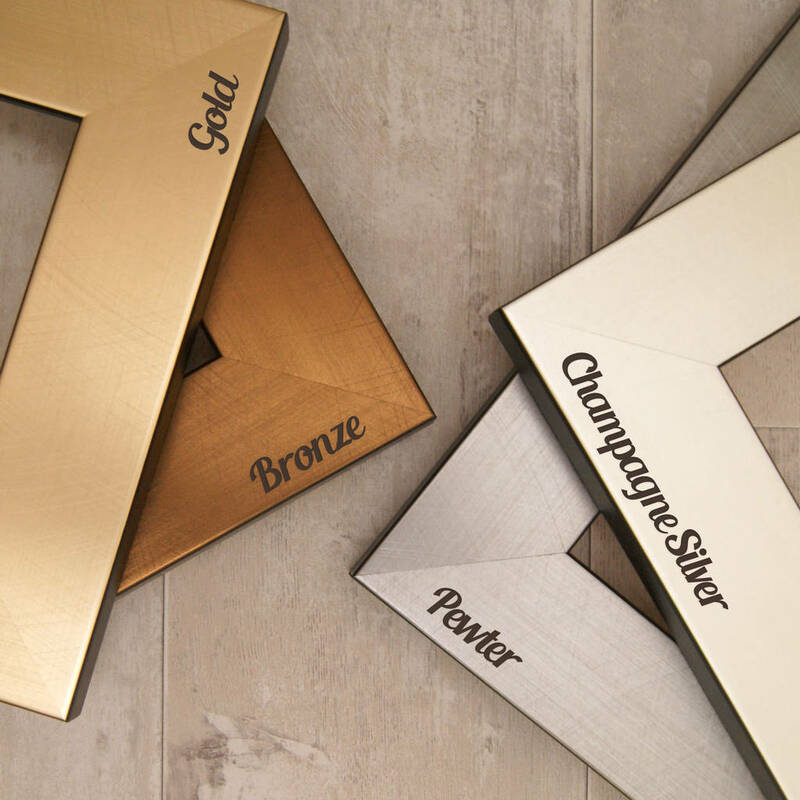 Our frames are designed, assembled and engraved in our Edinburgh studio, crafted from the highest quality cuts of wood. 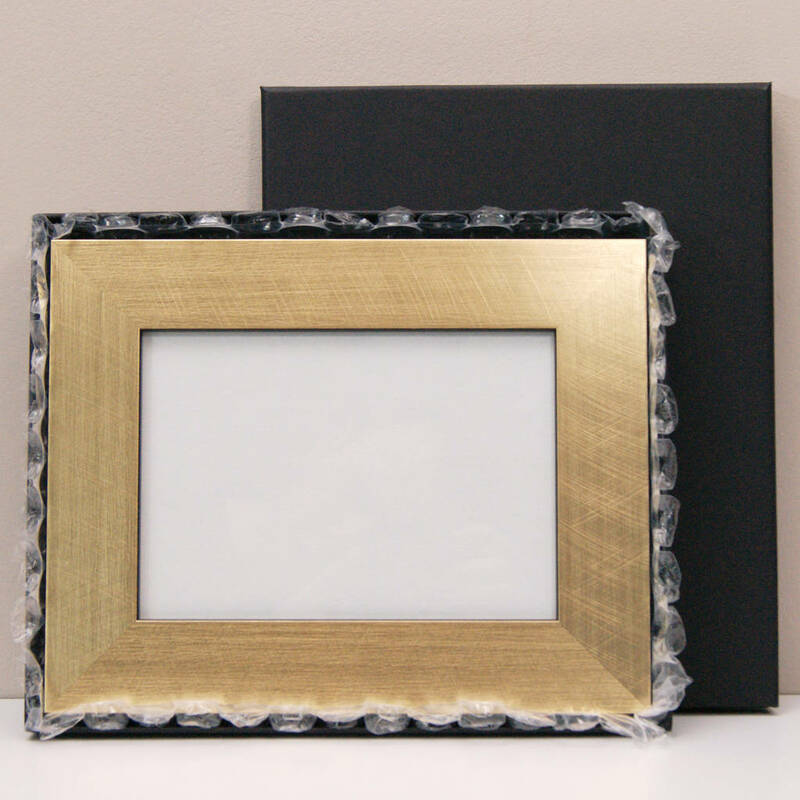 You can choose to have a portrait or landscape frame in a 6x4 or 7x5 inch size or select a square frame in a 5x5 inch size. This design is available in four brushed metallic finishes that are perfectly suited for an 8th anniversary (bronze), a 25th anniversary (champagne silver/pewter) and a 50th anniversary (gold). You can make your frame extra special by adding your very own photo! Simply select the option to 'add a photo' from the drop down menu, and send us your photograph via an order enquiry once your order has been placed. (ideally a high resolution Jpeg file). We will then size and print your photo using premium pearl photo paper (280g) and display it in your chosen frame. Ideal for sending as a gift! We offer the option to have your item gift boxed in a solid black box for an additional fee of £2.95. Please select 'yes please' from the dropdown menu if you would like this option. Your item can also be sent directly to your recipient. Simply let us know you would like to send your item as a gift and include an optional personal message which will be printed onto the gift receipt and enclosed with your order. No pricing information will be visible.